While it’s yet to be determined if money follows your students, CCSS certainly is already following your students. In fighting the War Against the Core, we’ve all met those warriors who are great at sending tips to areas of the “Common Core” overreach into our lives. From an educational standpoint, we’ve seen the CCSS Machine usurp our schools; from a privacy standpoint, we seen the CCSS Machine ruin it. The damage is far from new NOR is it over. 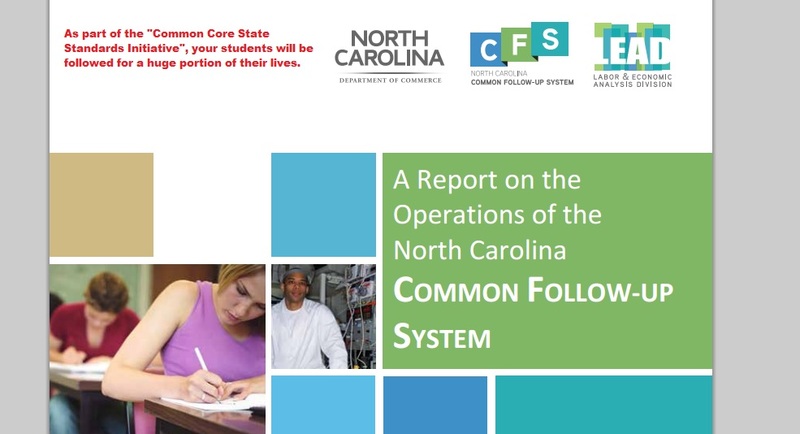 Here in NC, the “Common Follow Up System” has been in place since 1992! How is this part of the agenda that comes with “Common Core”? Keep reading, my followers and anti CCSS Warriors..
Do you see the CCSS/CTE footprints? I do. If you don’t, look at the emphasized words. Publicly supported education means schools or programs connected to them. That’s the CCSS portion. The employment and training is the Career Technical Education (CTE). 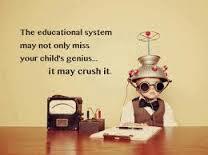 The two are one in the same in that the CTE portion of the Common Core begins well before high school graduation. Overseeing this CFS? Is the North Carolina State Occupational Information Coordinating Committee (NCSOICC). In the earliest years of the CFS, a longitudinal data base system was formed. The system tracked each person’s progression through the state’s workforce; to study their paths of progress to see what education or other factors were involved. In 1995, the NC General Assembly helped the data collection efforts. (See Chapter 96 of the NC General Statutes). Since 1996, interest in all this data collection has increased quite a bit. Here’s an excerpt, “Several groups turned to the CFS as a valuable source of quality outcome information for education, employment and training programs. The increased interest was due to initiatives at both the state and national levels regarding the collection, calculation and reporting of performance information throughout the education, employment and training system. These initiatives included the development of reports for the Commission on Workforce Development“(and others). “In 2012, the North Carolina Department of Public Instruction was awarded a grant from the U.S. Department of Education to build a State Longitudinal Data System (SLDS). While NCDPI is the lead on the SLDS grant, the project is a collaborative effort of several entities including: the NCDPI, the North Carolina Community College System (NCCCS), the University of North Carolina General Administration (UNC GA), the North Carolina Independent Colleges and Universities (NCICU), and the North Carolina Department of Commerce (NCDOC).” This direct quote is from the May 2015 Report I’ve been sharing excerpts from thus far. It’s the tip my fellow warrior shared. *Note: In my June 2015 “Halting CCSS/CTE Aligned Workforce” I shared that NC had been awarded big bucks. Now I know where those big bucks specifically went. Thus, the last remaining dots of the agenda are exposed. Boom! Also involved is a group identified in the report as “Lead Staff”. “Lead” stands for “Labor and Economic Analysis Division”. See below for just how many NC students have been data mined since the CFS’s inception. To see what the ‘education-to-work’ plans for those who are considered ‘at risk’ looks like, how the money will flow, the data mined, and more, see: Made in Durham PRINT 11 13 12-FINAL_0 (*Note: the CTE, Career Technical Education, shows up on page 16. Durham County, NC is also where SAS, IBM, and others like them in the CCSS Machine call home office. SAS, IBM, and the others are all in the same business: computers and data. Why did I include this report? Look at the amount of ‘national research’ involved for education/workforce. The title of today’s “Tech Thursday” article is about money following our students. This is in reference not only to the current proposals of legislation about federal and state dollars being used as student savings accounts which would follow our students from education to workforce, it’s also in reference to the vast amounts of money which have already created a system that tracks our students. The difference is what may be yet to come will most definitely continue the CCSS Machine’s agenda via more initiatives to align, while what has happened, paved the way for the CCSS Machine’s agenda to succeed so far. So, does your state have a CFS? If they have a state wide Dept of Commerce, have received federal grants for data, education, and/or workforce, have applied to the NGA for grants, AND had a cooperative state level Congress, it’s more than likely already well entrenched. Tech Thursday Update: Aligned Work, Thanks, CCSS. 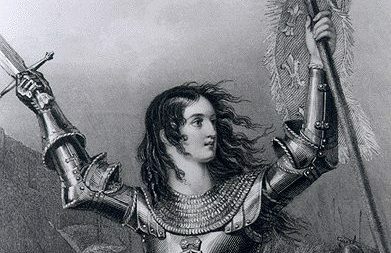 Before we look at what’s new about this subject, please note when you access the original one, it is specific to NC, however, like anything I write featuring NC, I do keep in mind that I have readers all over the world who are using this information to fight federal overreach in education. So, let’s see what’s new so that your fight against post-secondary CCSS, can be a fully armed one. Now, you may consider the fact the U.S. Chamber of Commerce’s vested interest in Common Core old news. Have you checked with your state or local level chambers? They receive funds from the U.S. Chamber. Think of it as a passing along of a basket containing tasty biscuits. The U.S. Chamber received its money from the Kitchen, where the biscuits were baked (Gates Foundation contributed millions), then being a sharing sort, the U.S. Chamber gave each state’s Chamber of Commerce some biscuits. Then the state level chambers got busy promoting CCSS at the more local level. Finally, the biscuits run out upon reaching your local Chambers. So, let’s see what is new in the realm of Chamber of Commerce Common Core movements. The above is a cutesy video to address the ‘skills gap’. Somehow, Common Core aligned workers will solve this ‘dilemma’. Lead, Hunt, or Get Out of the Way? Here’s an excerpt from my original article about the NC Chamber of Commerce’s Common Core action, “Commerce in the state of NC, just as in most US States is all about businesses and economy…. so supportive of the Common Core Standards, they formed their own CC Coalition, send out a very suggestive communication (as in negative reaction) to any legislature who didn’t stick up for Common Core earlier this year when our state was in the early stages of trying to pass ‘repeal’ legislation.” So, let’s see if they have updated their efforts where Common Core is concerned. The NC Chamber of Commerce’s Common Core Coalition homepage looks like this now..no more nasty letters, I guess. In the opening pages of the 2014 Annual Report for the NC Chamber of Commerce come these words, ” To empower the business community, the NC Chamber Foundation is leading initiatives to provide solutions-oriented policy recommendations and to track North Carolina’s progress on the four Pillars of a Secure Future – Education and Talent Supply, Competitive Business Climate, Entrepreneurship and Innovation, and Infrastructure and Growth Leadership. ” Did you catch the ‘talent supply’ reference? Almost word for word what the U.S. Chamber said in their video. Yep, keep passing those biscuits, folks. leaders, police chiefs, parents, and local chambers of commerce. Coalition members steered many initiatives including a website, digital and print ad campaigns, local events, and others to create greater understanding around higher standards. Ultimately, Senate Bill 812 was signed into law, which brings greater predictability and certainty to North Carolina teachers, students and job creators by keeping the current higher standards in place while a standards review commission researches and provides revisions, which can retain elements of the Common Core State Standards, in part or full, as a basis for future standards.” Sorry, NC Chamber, this is SO not what Senate Bill 812 was to do at all or accurately states the process our educational system is in at all! I hope that your state isn’t as sold out to an aligned employment system, but then again your state may be even moreso than mine. Either way, the move is on to ‘marry’ education and labor, no matter what, we the citizens say. Think about yesterday’s article updating the Workforce Quality Data as well as the Education Data? I urge you, look at what your Chamber of Commerce are up to. Use NC’s boon doogle as an example!